Davies urged clinicians and the Government to work together and make wider use of new genetic techniques in an attempt to improve cancer survival rates.Genetic testing can pinpoint the faults in DNA that have led to a cancer forming. Different cancers have different faults, and these determine which treatments may or may not work. Such testing could lead to patients being diagnosed faster and receiving more targeted or precise treatments. Davies said that “the age of precision medicine is now” and that the NHS must act quickly to remain world class. The report recommends that within five years training should be available to current and future clinicians and that all patients should be being offered genomic tests just as readily as they’re given MRI scans today. “This timely report from the chief medical officer showcases just how much is now possible in genomics research and care within the NHS,” added Sir Kumar. 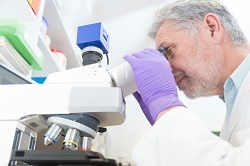 “Cancer Research UK is determined to streamline research, to find the right clinical trial for cancer patients and to ensure laboratory discoveries benefit patients”.